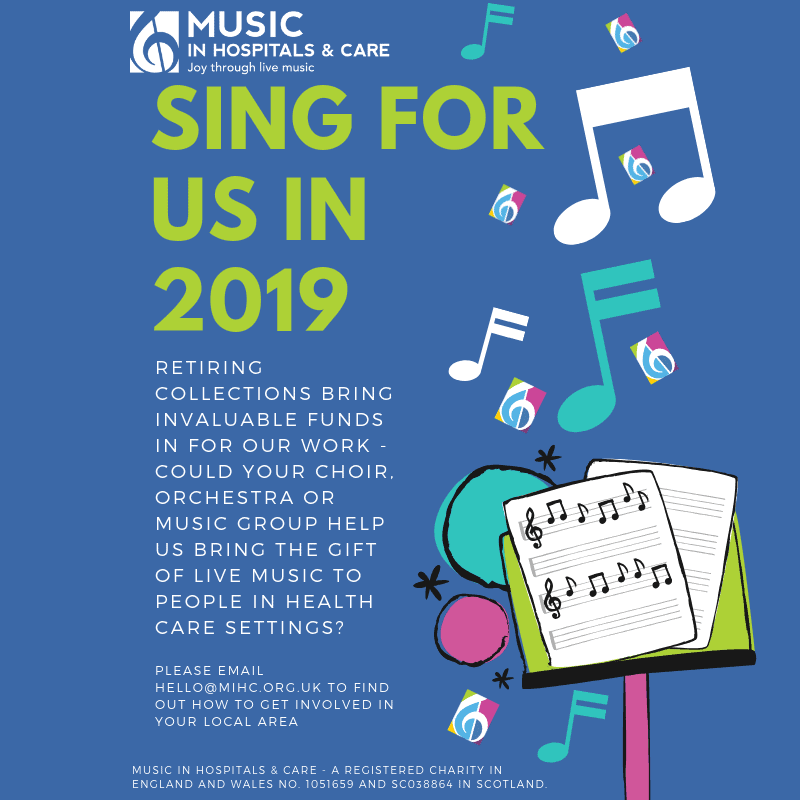 We’re calling out for choirs, orchestras, music groups and performers to dedicated their post-performance collection to Music in Hospitals & Care throughout 2019. By holding a retiring collection on our behalf you can help us bring the joy of live music to many more people of all ages in healthcare settings across the UK. Please get in touch by emailing hello@mihc.org.uk and tell us about your event and any support you may need from us. Our regional offices can provide branded donation buckets, signs, t-shirts and shout outs on our website and social media too, wherever you are in the UK. Come and sing for us this year and make a big difference to people of all ages who have limited access to high quality live music.